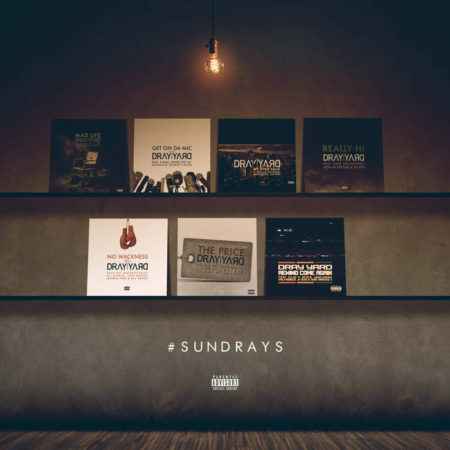 Dray Yard, producer from Belarus, just dropped his new project called “#SUNDrAYS”. The album features 29 MC’s from the USA underground elite: Dro Pesci, L.I.F.E. Long, Eastkoast, King Marvey X, Z-Man, BROke The MC, Quaesar, KespeR, Easy Jesus, DebOnAir, Innocent?, D-Rock, Justo The MC, Raze The Ratchet, Asylum Lifetime, Sicarii, O7, Kil Ripkin, Low Banga, Mic Handz, Raw Tint, Hazernomical, Dready Kruger, Illin’ P, OFATS, Junclassic, Halfabrick, 8-bza.